How many diets have you tried only to find that you swing back and sometimes even beyond where you started? There are thousands of different diets out there, along with government and medical guidelines on what you should be eating, yet the result is that you get confused and disheartened. Further pressure and frustration are added by the media’s constant pressure for you to look like a supermodel and its message that if you are larger than a US size 8, you are overweight. Diet X worked for your friend and when she encourages you to give it a go, you do. Yet again it doesn’t work for you and you feel like a failure. You are not alone. Over 85 percent of diets fail! Why? Well, there are 3 important secrets to weight loss that everyone should know — and interestingly that no one ever really tells you. 1. Why a diet may have worked for your friend, but not you. Every one of us is unique; even identical twins. You are born with a genetic blueprint that you inherited from your parents. This blueprint determines whether you will be tall or short, have thin bones or heavier bones and whether your digestion is naturally fast or slow. 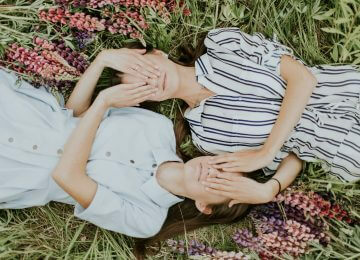 Identical twins have the same blueprint at birth, yet as the years go by one stays slim and the other becomes overweight, even though what they eat is similar. Why is this? It’s due to what we today know as epigenetics. Only 5-10% of your gene expression is set at birth, and the rest of your genes contain switches that are turned on or off. Given that each cell within your body contains about 30,000 genes you have a huge number of switches that are constantly being switched on or off. What triggers the switch? It’s your epigenetics – your lifestyle and environment. This includes what you eat, how you exercise, who you socialize with, the work you do, toxins and chemicals you are exposed to, how you use your mind, your home environment and the local climate and weather. Any of these can have an effect on whether you lose, gain, or maintain weight. For every one gene, we have 100 microbes. No two microbiomes are the same. Millions of these microbes live in our gut. They are essential to helping us digest food, yet for many people in the western world, the variety of these microbes is depleted compared to indigenous people who live off the land. A healthy microbiome creates a healthy you – it’s not only vital for digestion but your immune system as well. If your microbiome is compromised your health is too. Not only is it likely that you’re not getting as many nutrients from the food you eat as you can be, but the walls of your intestines can become damaged and result in inflammation, a root cause of nearly all diseases. 2. You are not just what you put in your mouth. “You must count calories and increase your exercise” is the recipe for weight loss frequently shared with us by the medical profession and media. Yet if it was this simple there wouldn’t be an obesity epidemic! Of course, if you want to lose weight you don’t want to eat an excessive amount of food, but more important than the amount of calories is what those calories are made of. Not all calories are equal. Avocados, for example, are high in calories, yet their fat is very healthy for many people and the way the calories are digested means they are likely to aid weight loss. What is more important than calories is eating the right foods for your body and your type of digestion. The same is true for exercise. Exercise can aid in weight loss, but it’s important to do the right type of exercise for you. Not everyone is designed to be a marathon runner or to lift heavy weights. Are you thinking “I’ll never lose weight,” consciously or subconsciously? The thoughts you think influence how you feel and the actions you take. Are you spending your time with people who lift you up and are supporting and loving or people that leave you feeling drained or constantly on edge? Are you doing a job you love, that doesn’t feel like work? Or do you have to drag yourself to work each day, and are left feeling constantly stressed? Is your home a place to relax and have fun? Does it suit your needs? Or does it and the events that take place within it leave you feeling stressed and disconnected? Some of us thrive in a hot, dry environment, whereas others do best when it is cool and moist, or anything in between. Do you live in a climate that energizes you? 3. You may not even need to lose weight. The media bombards us with images of tall, slim models and actively encourages young girls and women to aspire to be the same. Yet we are not all tall and small boned! There is an ideal weight for you and it might not be what you think it should be. The only perfect weight is the weight that is right for YOU, and it’s determined by your body’s unique biology and chemistry. Losing weight or keeping it off isn’t always easy. Thankfully you’re now better prepared to navigate the many suggestions and recommendations that exist out there to help you lose weight. And if you want personal evidence of just how different each of our journies to weight loss (or health, for that matter) is, then grab a friend and check out Shae™ together to discover what YOU need, not just to lose weight, but to become healthier and happier than you’ve ever been before. 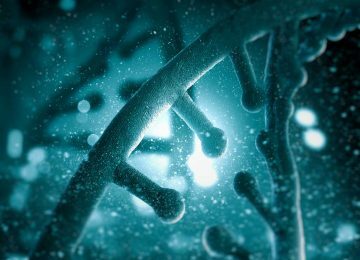 Epigenetics: Scary Word or Key to Your Health?